We don't see any of these Telecoms doing their subscribers any good by blocking out the Simple server with BBLite tweaks people had been using... or managing rather, for a long while. Truth remains that Data bundles in NG are still not as cheap as it's meant to be, instead of 1MB for less than 1 Naira, they prefer to reap people off which not everyone can afford or won't happily keep paying for, any ways, I didn't come here to vent. 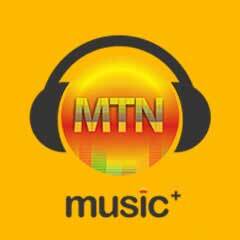 If your Simple server had stopped working with your BBLited or BIS subscriptions which we shared in latest browsing tweaks 2016 sometime time ago, then we have an update that you can use to keep moving on, the updated Settings for MTN Musicplus with SimpleServer for both PC and Android. With this, you'll get 150mb for 15Naira, and you can always do it as many times as you want. 3. Open your Simpleserver config file replace this "web.blackberry.com"
Now save it and launch the simple server program, connect to internet and browse with your Mozilla or Chrome using Local Host (127.0.0.1) Port :8080 As usual. If you exhaust it, text CANCEL7C TO 5900 And reactivate using Step 1. > Select save and click on “tunnel whole device”. Region: All servers are working with it, but we advice you pick United states to avoid strange languages when browsing. Select more option, And check “Connect through an HTTP” then select “Use the following settings:” then configure as. As we earlier said, If you exhaust the allocated data, just text CANCEL7C TO 5900 And reactivate using Step 1. We understand that the process is a bit of stress but we have to keep it going till we find a stable tweak or till the former BBlited plans start working again.